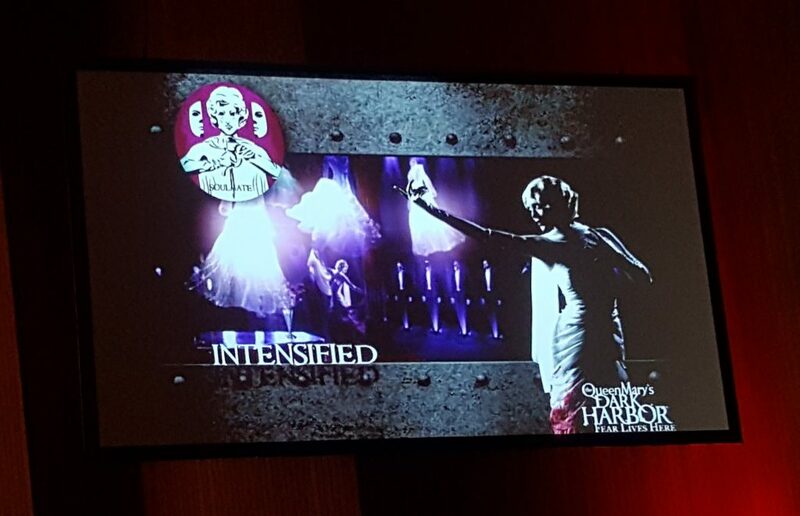 Rounding out “The Big 3” of the southern California haunts is Dark Harbor. The good ship has been a big point of discussion this year as financial woes have hit hard right as an inventory of the repairs the ship needs came to a healthy sized receipt. 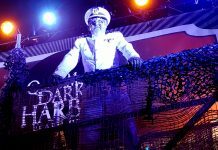 Dark Harbor being one of, if not the biggest, annual draw for the Long Beach icon, one would expect to see some drastic unpleasant changes. Ultimately, that doesn’t seem to be the case currently. 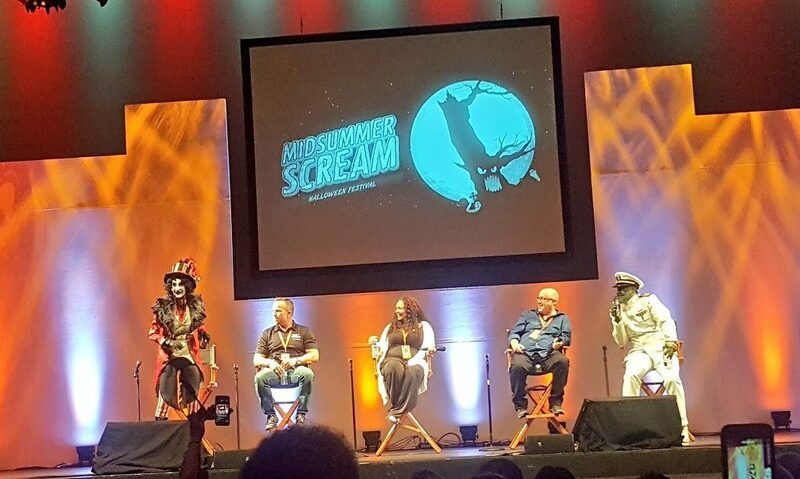 Midsummer Scream played host to their reveal event this year. 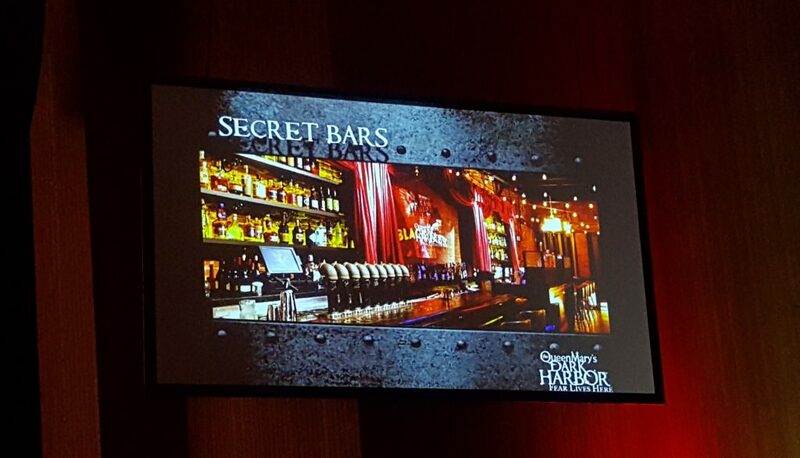 The panel was (very) loosely moderated by The Ringmaster and a fairly sloshed Captain, nursing a half-finished bottle of vodka which was empty by the end of the presentation. 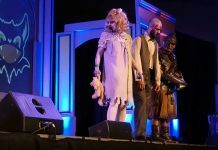 Alongside these characters (meant in more ways than one), were David Wally, Director of Talent, and Steve Sheldon and Charity Hill, the Executive Producers. To say the panel was unscripted would be an understatement. 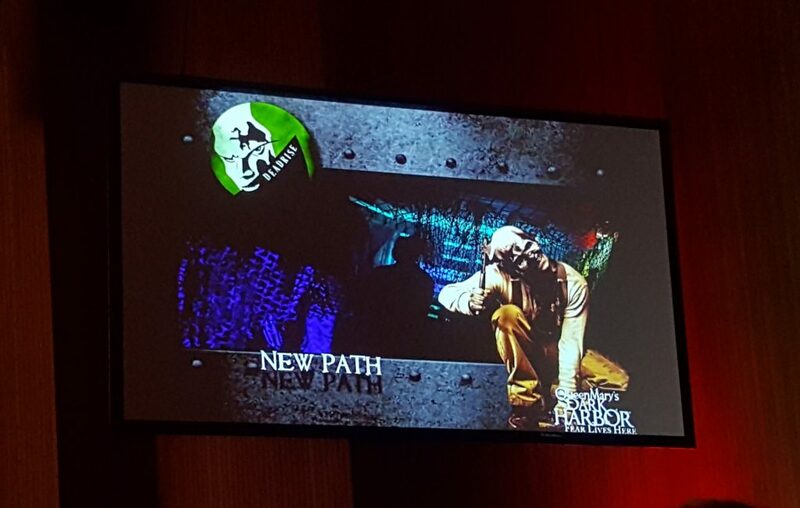 Dark Harbor’s hallmark is all of their mazes focus on a single character and their story. 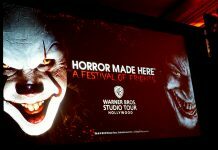 So for multi-year visitors of Dark Harbor, the characters are well established and known to their audience. They have a story to tell and they enjoy telling it, bouncing off each other like a Harold troupe at a Hollywood improv theater. Between the riffs, information about the upcoming 2017 season eventually eked its way out. Despite the promotion to the contrary, no mazes met their end this year, as Circus was sticking around due to popular demand and a new maze was introduced aboard the ship, marking the first time 4 mazes will be on the ship simultaneously. 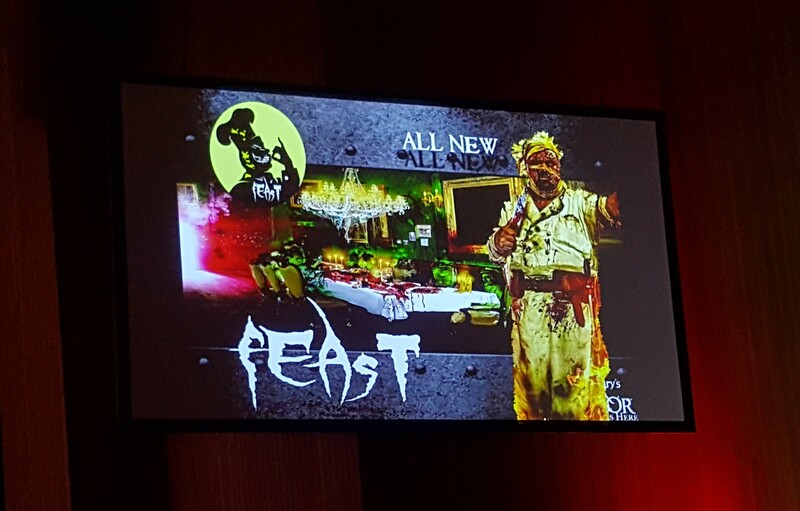 This new maze, called Feast, focuses around a cannibalistic character appropriately named Chef, who puts a spin on the Demon Barber of Fleet Street. Once captured, and burned alive as punishment, his loyal cooks follow him to his grave as they come back for revenge on unsuspecting guests. 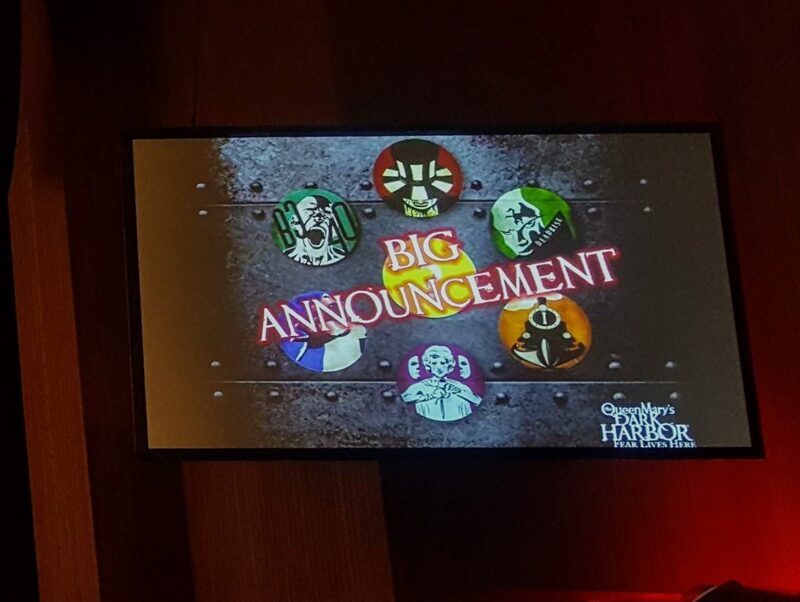 Beyond that, Deadrise will be getting a new layout, but preserving the ever important exit into the streets that the sailor monsters aboard have made a spectacle all their own. Essentially every maze was slightly tuned in some form or fashion to keep it fresh and advance the story. 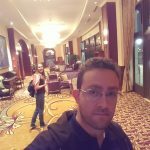 And that brings us back to the financial topic at the beginning of the article. 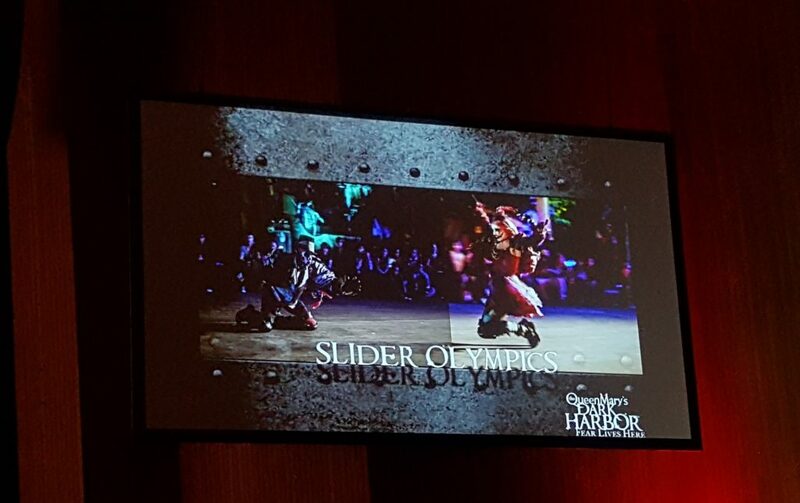 Outside of mazes, and slider shows, and trapeze acts, and well, a lot of fun, Dark Harbor is also known for their multiple themed bars and tacos. The tacos return this year to the RIP lounge, and there are still a copious amount of bars, with the return of bars to the queues for the mazes and now two mazes, Circus and Feast, will each have a secret bar within the maze itself, for guests to hopefully stumble upon. This includes a new maze, The Meat Locker, where the temperature is a brisk 9 degrees above zero. Don’t worry, parkas are included. The idea of additional activities contained within mazes is rarely attempted feat, due to the cramped nature and hurried fashion they must confirm to, but they pop up occasionally, like with the performers inside Black Magic at Knott’s Scary Farm. I am all for any effort to make mazes a more interactive and surprising experience. 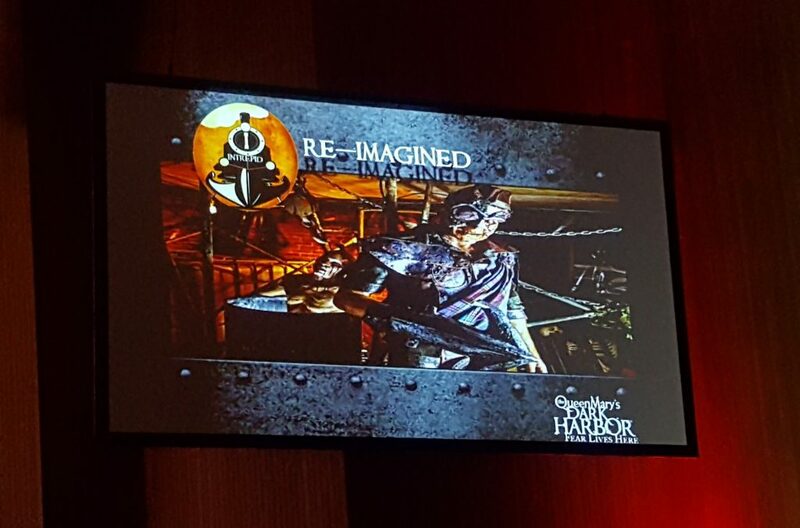 Paintball aside, it seems everything is either improved or added this year at Dark Harbor, and that can only be a good thing. 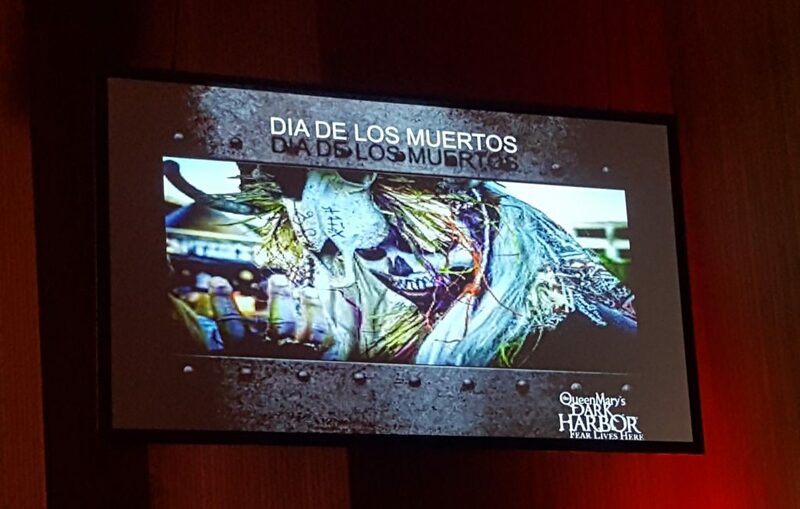 For 2017, Dark Harbor runs from September 28th to November 1st, with a costume ball on October 31st and a Dia De Los Muertos themed costume ball on November 1st, where even the monsters get newly themed thematic makeup. 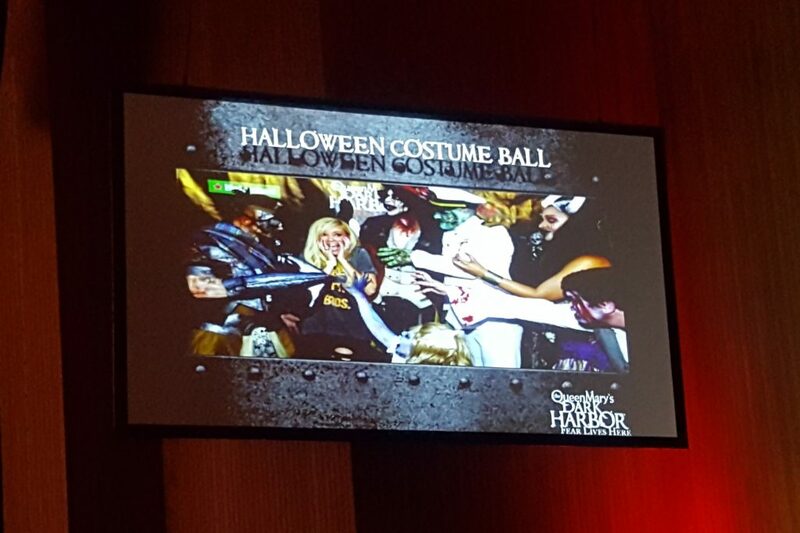 These costume balls are the only haunts where guests can attend in costume, but arrive as early as physically possible, as the security check becomes even more involved that night. On a final note for Dark Harbor, if you are considering purchasing a ticket for the event, and are leaning towards the Fast Fright ticket to skip the lines, purchase it online as you will also get priority access to the security check-in, immediately saving even more time upon arrival.